You know that you have arrived at a gay-friendly Hotel when the local gay guide is displayed prominently in the hotel lobby along with other tourist information brochures. Such was the case when I arrived at The Plaza del Sol Hotel in the heart of downtown Rosario and the De Ambiente gay guide was readily available in the foyer. The welcoming staff were also extremely helpful and spoke English, which is not always the case in Argentina. Located on San Juan Street near attractions such as Plaza Montenegro, The National Flag Monument, Plaza 25 de Mayo, and the Cordoba Street Pedestrian Mall, this is a perfect place to explore Rosario. Also nearby are Independence Park Theatre and El Círculo Opera House plus numerous gay-friendly cafes, bars, and clubs. Of course the renowned riverbank promenade is also just a ten minute walk from the Plaza del Sol Hotel. Here you will find spacious and beautiful parkland with cafes overlooking the Rio Parana plus the islands and beaches of the Westbank. Plaza del Sol is a comfortable hotel with all the necessary amenities for a perfect trip. Hotel guests can enjoy a free buffet breakfast served daily on the second level. The staff provides concierge services, tour assistance, ticket purchases, business services, and translation services. Additional amenities include a fitness facility, swimming pool, sun deck, laundry, and room service during limited hours. There is also a computer located in the hotel lobby for guest use. The spacious guestrooms have views of the city with cable television including free movie channels. All rooms have personal safes and telephones. Internet access is provided with free high-speed wireless connections. Beds have down blankets and the bathrooms have shower and tub combinations with jetted tub and rain shower head. They also offer bidets and hair dryers. The rooms include air conditioning and private balconies. In addition, guests may request iron and ironing board, bathrobes, and wake-up services. During my visit to Rosario I learned that San Juan Street was one of the original gay cruising streets in the city, dating back about forty-five years when there were no bars or clubs in which the LGBT community could gather and no internet for instant hook-ups. Although times have changed it is interesting to find a gay-friendly hotel located on a street with such gay history. Rosario is situated only 300 kilometers from Buenos Aires making this an easy destination for a visit during an Argentine vacation or business trip. By car the journey takes just over three hours and slightly longer by bus or train. The River Parana with its islands and beaches makes for an ideal relaxing escape from the hustle and bustle of Buenos Aires. 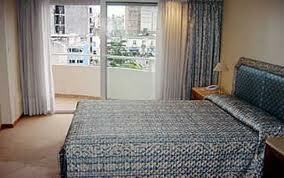 With moderate prices for room rates Plaza del Sol Hotel is perhaps the best option for staying “gay” in Rosario.